It takes courage to grow up and become who you really are." e.e. cummings. Wonderful sharp detail and rich color! Love the quote..really makes you think when posted along with this picture! 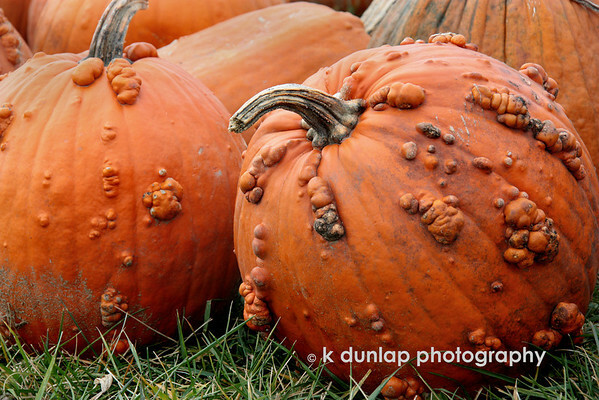 Cool..pumpkin warts!! Wonderful shot and detail! Awesome comp and perspective! Those are some wicked lookin' pumpkins, I agree with Carole on that one! Perfect quote for the image. A fitting image for the quote!